Here is the perfect gift to get the biker friend/family member in your life anyone into Harley Davidson. 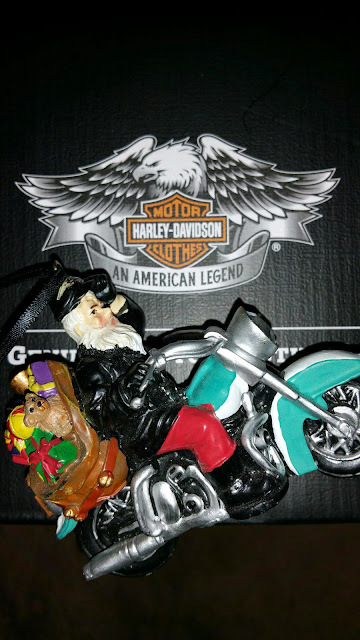 Here is Santa riding on a motorcycle!!! We thought this was very cool and my kids ran to the tree to hang it up, they thought it was pretty cool that Santa knew how to ride a bike. What was even more cool was that his headlights lit up. Harley Davidson really did a great job with this Biker Santa.